Click here to go directly to the videos at the bottom of this page which will answer this question as well. There is one organ that runs your entire body and your entire life, your brain! Having your brain in good shape and not misbehaving is vital to healthy functioning. Neurofeedback simply put is "exercise for the brain" where the brain is monitored moment by moment and giving feedback of it's own level of functioning. This feedback allows the brain to adapt and change as necessary, in turn functioning more efficiently in most areas of life. For example, many times we do not notice small things like nail biting, teeth grinding, and difficulty sleeping throughout the night (these are simple examples, but neurofeedback can be helpful for so much more as detailed in Question 1 below), but these symptoms are improved when the brain is challenged or "exercised" to perform better and regulate itself. The more the brain becomes aware of its poor functioning also called dysregulation), it stabilizes the Central Nervous System resulting in the ability to attend to activities at length, increasing alertness and awareness of our environment and an overall better regulated state of being. The best part is you only have to show up and your brain will do the rest! • Has your ability to remember things and stay focused diminished recently? • Have you noticed a drop in your energy level? • Are you impulsive and often regret the choices you make? • Do you find that you are anxious, worried, and stressed more than in the past? • Is your average mood lower than it used to be? A yes answer to any of these questions could mean that your brain has lost it ability to regulate your body as well as it once did. A fitting analogy would be to compare our brains to computers: with neurofeedback, we are improving the way that the software (the neuro-pathways) work with the hardware (the brain). Even cars need a tune-up to run efficiently, our brains are no different. What should you expect? How does it work? Each regular session of neurofeedback is 45 minutes unless otherwise arranged with your clinician (the first session will usually be 2 hours). First, symptoms and history are both evaluated which will assist your clinician in determining lead placement, or the area of the brain that will be trained. Once this is determined, your clinician will place EEG sensors on the scalp attached by EEG paste (which is removed at the end of the session). The EEG sensors monitor the brain waves; this is where the "feedback" occurs. During the session your clinician monitors the brain wave feedback while the client watches a movie. The movie has a visual overlay driven by your own EEG that your brain will recognize and respond to. Sensors are attached to the scalp with EEG paste which then pick up brain waves. It is painless and does not involve the application of any voltage or current to the brain, so it is entirely non-invasive. A computer processes the brain waves and extracts certain information from them. We show you the ebb and flow of your brain waves, and the specific information we obtain from them, in the form of a visual overlay. What to expect during the first session. During the first session symptoms and history of symptoms are explored at length, hence the longer appointment. It is important that you feel comfortable and talk open and honestly with your clinician; this will only help to improve your neurofeedback experience. Exploring symptoms allows the clinician to identify where, when, and why the brain became dysregulated. You can expect to see results or changes within the first couple of sessions. It is important to note and understand that during the first couple of sessions, your clinician will be fine tailoring exactly where to train your brain and on what frequency. Your understanding of this is important as well since you will need to communicate changes to your clinician (before, during and after treatment) so he/she is able alter lead placement as necessary. Most people are surprised at the breadth of issues that neurofeedback can treat. Almost anything that can be regarded as a "bad habit" of the brain can be retrained. Furthermore, most symptoms that can be reduced with medicine, can be reduced with neurofeedback as well. Examples include: stress, headaches/migraines, diagnoses of ADHD/ADD, Autism spectrum and developmental delays, speech delay, anxiety, drug and alcohol dependencies, seizures, anger outbursts, oppositional defiance, depression, insomnia, nightmares, night terrors, bedwetting, teeth grinding, TMJ or “lock jaw,” narcolepsy, daytime sleepiness, dyslexia, cerebral palsy, restless leg syndrome (RLS), and more. Clients often report increased energy, peak performance, and increased ability to focus. * Please note: addictions, ADHD, PTSD, eating disorders, Tourette's/tics will benefit most from a combination of counseling/therapy and Neurofeedback to improve symptoms. Absolutely not! Neurotherapy does not hurt and does not cause more symptoms than what you are already experiencing. There is no electrical current to the brain, only electrical feedback read from the brain. Since your brain prefers to be well regulated (and that is what neurofeedback promotes), there is usually a sensation of being very relaxed during a training session. No. As your brain begins to function more effectively you will most likely find a decreased need or intolerance for your medications such as SSRI’s (antidepressants) anti-anxiety and Ritalin, etc. As you consistently discuss your symptoms with your clinician, it is also important to be sharing this information with your private physician so they are in control of your medication management. 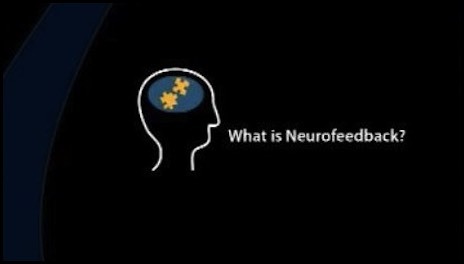 It is important to know and understand that neurofeedback will decrease the need for medications so you are aware of making the choice and willingness to adjust medications as needed. This is something to be discussed at length with your clinician upon initial consultation. Depending on your insurance and diagnosis it may be covered but that would need to be determined by your insurance provider before beginning services. Additionally, we do not bill insurance companies on your behalf. We feel quite strongly that we can give better service, provide longer appointments, and focus more of our attention on you if you are submitting insurance paperwork instead of us. Nonetheless, we will provide you with any receipts needed so that you can get reimbursed. Treatment can be started whenever a symptom of dysregulation appears therefore from ages of around 4 years old to 100+ years old. This treatment is very flexible and available to all ages and populations. For examples of "dysregulation", see What symptoms and diagnoses can Neurofeedback treat? above. 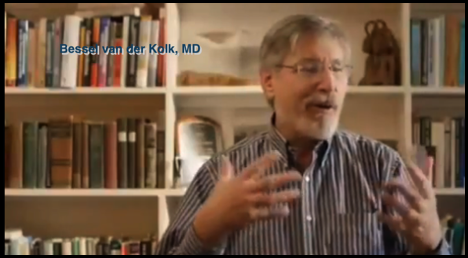 Neurofeedback is not yet taught in most medical schools or psychology graduate programs. Many professionals are therefore unaware of the power of this technique. As with any cutting edge treatment it takes time for the field to grow and adjust to emerging research and this is the case with Neurofeedback as well. You have most likely heard of Biofeedback and Brain Mapping, these are similar sciences which had skeptics at one point and took time to grow as well. Where Biofeedback allows us to see activity in the brain, Neurofeedback allows for a way to correct that activity. Additionally, our society more or less subscribes to the medical model of visiting your physician and being prescribed medications for most things. As such, many people do not take the time to research more effective and/or holistic options. Neurofeedback is training in brain regulation therefore is capable of improving many, many areas of functioning. Examples of good applications for neurofeedback include: excessive headaches and migraines, anger, insomnia, ADHD, anxiety, and more. Neurofeedback can help to increase functioning in many areas within this diagnosis. However, it is important to know Neurotherapy is not a CURE for organic brain disorders such as being intellectually impaired. The human brain is the most complex organ in the body. This three-pound mass of gray and white matter sits at the center of all human activity—you need it to drive a car, to enjoy a meal, to breathe, to create an artistic masterpiece, and to enjoy everyday activities. In brief, the brain regulates your body’s basic functions; enables you to interpret and respond to everything you experience; and shapes your thoughts, emotions, and behavior. Our brains receive and send information to and from every cell in our bodies. Yes, our brains really are that important! Since everything in our bodies is controlled by our brains, most of our functions can be enhanced by training our brains to better self-regulate. This technology is simply amazing!